Sapa is Located 38 km from and 376 km away from Hanoi, Sapa is a mountainous district of Lao Cai province, a region known as the Da Lat of the North, is the Alps mountain range of Indochina country .. .
Sa Pa is beautiful and romantic, like a pearl among middle clouds mountains. 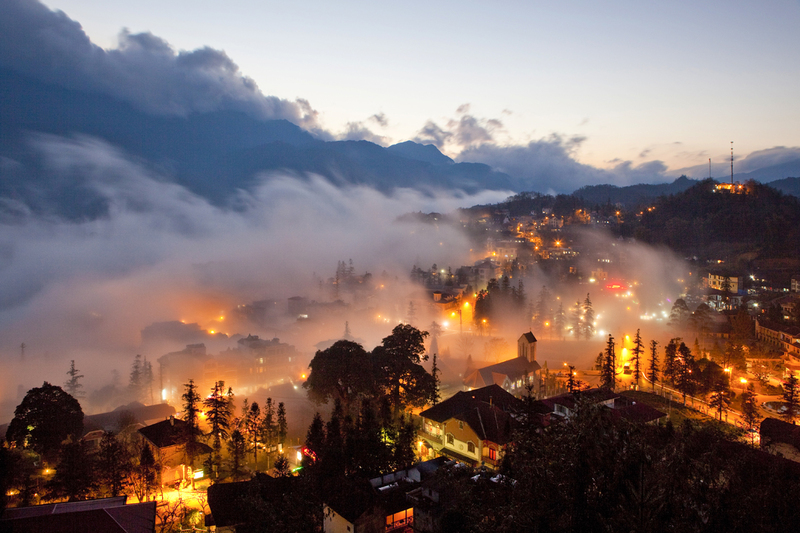 Sapa is also the unique climate with four different seasons in one day. In the morning the sun rises like cool spring weather. Warm in the noon time felt a little like summer. Sun set, a little chilly as the autumn air and at night - seems winter. Sa Pa there is snow frequency from 4 to 6 years in some winters. Cloud in Sa Pa when the white foam spread covered mountains, when the river is flat on the ground, sometimes as waves playing chase each other, sometimes melt like icebergs, sometimes blurred as color smog. Sometimes seeing it pure white, pristine white of Sapa ice as increase the attractiveness of land which already many public interesting. Come to Sa Pa is a unique human resource areas. Sa Pa Market booth with colorful brocade, Old Mothers are selling. Mouth offer embroidery, hand embroidery needles swiftly escape. At Saturday night the air fragrant smell of local alcohol, the sounds of praise environmental guidance call. the Sapa market even more captivating.